Ceramic tiles are hardwearing, easy to clean, water resistant, hygienic and very attractive. Even experienced amateurs used to hesitate at the thought of applying tiles, but the advent of modern tile cutting tools and adhesive now makes the job much easier. This easy step-by-step guide will give the inexperienced the courage to tackle the job and give those with more confidence some tips to avoid common mistakes. If you read this guide carefully, use the correct tools and take your time, you should be able to achieve a reasonable standard of tiling. There are several different types of tile available and they vary in their technical properties. Ceramic tiles sold in the United Kingdom should conform to the British Standard for ceramic tiles, BS EN 14411. It is essential that you select the correct tile for your situation. All our tiles are selected from the finest european and overseas manufacturers to ensure top quality products. If in doubt or you need any assistance please contact us. What Type Of Tile Is Right For Your Project? Made from natural clay, some are frost resistant and they may be used for floors internally and externally.Their natural clay surface usually provides good slip resistance and they are extremely hard wearing. These are made from natural clay and vary in water absorbency but generally they are used for flooring and are unsuitable for exterior use, as they are not frost resistant. Most terracotta tiles need surface sealing before and after installation. Natural stone tiles include limestone, marble, granite, slate, travertine quartzite and sandstone. Whilst some natural stone tiles are extremely hard wearing the performance of these materials does vary. Some natural tiles may require the use of adhesives and grouts specifically designed for the installation of natural stone tiles. Natural tiles should be sealed before grouting. We can advise on suitable sealants and maintenance products. First measure the walls to be tiled and calculate the area in square metres, work out the number of tiles per square metre and multiply this by the area to be covered or ask us to help with calculations. Tiles are produced in batches, and it is important to make sure you have enough tiles from the same batch for your project, so order slightly more than you need. Any extras can be stored for future repairs. Note: exact tile sizes can vary from manufacturer to manufacturer and some can include the joint width in their calculation of tiles/metre. Therefore the above table must only be used as a guide and is not a definitive statement of fact. There are many different types of adhesive available on the market. We stock and supply adhesive and grouts from the UK market leaders, namely BAL (Building Adhesives Ltd) and Ardex UK. As all conditions vary, it is most important that you seek advice so as to use the correct type which conforms to the British Standard BS EN 12004. Always follow the manufacturers’ instructions. This table is intended to help you choose the right adhesive and grout for your tiling project. In the classification ‘1’ means, standard properties and ‘2’ means improved properties. With dispersion-based adhesives. D2 confirms that the adhesive will be suitable in a damp location, e.g. domestic shower wall tiling. With cement based adhesives C2 confirms that the adhesive will have enhanced adhesion making it suitable for fixing porcelain tiles. Note 1: Check with the adhesive manufacturer Note that with dispersion-based adhesives at least one of the surfaces being adhered together should be porous and absorbent to ensure that the adhesive can dry out and develop adhesion. 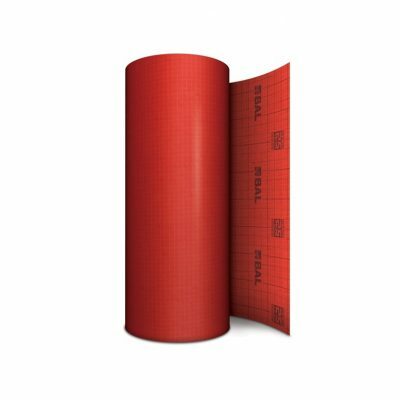 See the adhesive manufacturer’s product data sheet for adhesive coverage. There are many different types of grout available on the market. 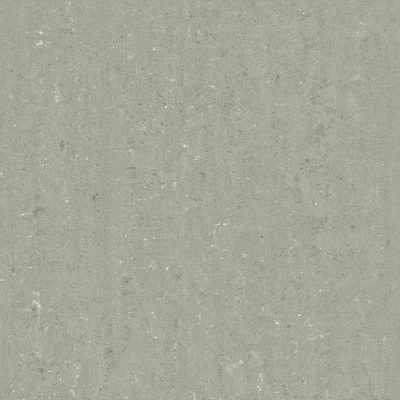 It is important that you seek advice on choosing the right grout for your project. Ensure that the grout conforms to British Standard BS EN 13888. We will be able to help you choose the right grout for your project from our range of Ardex products. A mechanical tile saw may be required for porcelain, natural stone products, limestone, marble, granite slate etc. Tile fixing trim (available in coloured PVC and metals), bath seal, pre-formed movement and control joint profiles will make your job look more professional. All these products are featured on our website. What do you need for successful grouting? Wether you are a tiling professional or have a DIY project. There are a few essential tools of the trade you will need to give a professional result. In wet situations particularly in bathrooms around the shower it is essential to tile onto an already water resistant background such as tile backer board, using a Category C2 tile adhesive. Porous backgrounds such as plaster or plasterboard can be made waterproof by using a tanking (waterproofing) system. Please refer to our ‘Wet Room Solutions’ section. Special attention should be paid to sealing the gaps between the base of the tiling and where the tiling joins the base of shower units or bath and penetrations in the tiling (e.g. shower fittings), using a good quality antifungicidal silicon sealant. or a proprietary manufactured sealing strip specially designed for the purpose. With the current popularity of large format tiles it is important to make sure the background is flat, plumb and true before tiling begins. It is also worth bearing in mind that the tolerances for the tile are based on a proportion of the size of the tile. When fixing large format tiles it is essential to use the correct adhesive (Class 2) and ensure as near as possible 100% coverage of tile adhesive. Large format tiles may not be suitable for fixing in a brick bond pattern. You will need a perfectly flat surface for tiling. Do not cut corners – preparing the surface is vitally important. See our four options below for choosing your surface to tile onto. 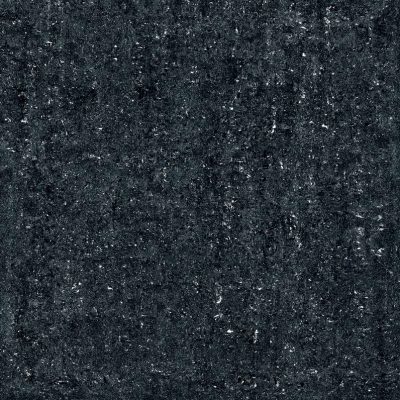 Tile backer board is an inert board suitable for fixing tiles in most domestic situations; make sure you follow the manufacturer’s installation instructions so they are adequately supported. Please see the ’tile backer board’ section of our website. New plaster should be left for 4 weeks and be thoroughly dry and brushed down before tiling. Old plaster is suitable, provided it is sound. Check with the tile adhesive manufacturer whether or not the plaster requires priming before tiling can begin. The weight of tiling should not exceed 20 kg/m2. We can help advise you if your tiles are suitable. Plasterboard is suitable for walls provided it is well supported with the board being a minimum of 12.5 mm. Fix the tiles directly on the paper facing, do not skim with finish plaster. The weight of tiling should not exceed 32 kg/m2. Painted surfaces. It is very important to make a detailed examination of the surface, as the permanent success of the installation is dependent on good adhesion between the paint and the surface to which it has been applied and between any substrate and basic structure. Remove any old wall covering and flaking paint. Fill in old cracks and voids with a suitable filler. Ensure the surface to be tiled is smooth, clean and free from dust, dirt or grease. Planning ahead is essential for a good result. Take a long length of timber, mark the tile widths to help you identify where the tile will start and finish, remembering to leave space for the joints, which must be at least 2mm wide. Set out horizontal position of the tiles so that the same size cuts are made either side of windows etc. Avoid small difficult cuts as they can spoil the appearance. Plan each wall carefully, remembering that any patterns/designs will need to be matched in the corners of the room. For plain tiles each wall should be centralised avoiding any small cuts. Find the lowest point of the base you are working to (skirting, bath top, work surface etc.) with a spirit level. Place a tile against the lowest point and draw a line on the wall along the top of the tile. N.B. The start point of the line will depend on the setting out of the tiles, as the tile against the floor may be a cut tile. Nail the batten along the wall to this line. Use the spirit level to ensure it is level. The first line of tiles will rest on this batten. Draw a vertical (plumb) line at one end of the wall, one tile width away from the edge. Use this to check that the tiles are in line vertically. Spread the wall tile adhesive using a tile adhesive trowel onto the wall. Work in small areas a metre at a time, so that tiles are fixed before the surface of the adhesive forms a skin. Press and twist the wall tiles into the adhesive starting at the bottom and working upwards, one row of whole tiles at a time, using spacers (if required) to ensure a uniform joint. When tiles need to be cut, we can help advise you and explain the various cutters available. In awkward locations it is often easier to apply the adhesive onto the back of the tile instead of the wall. For complicated shapes make a template and transfer the design to the tile.If the tile does not have a glazed edge, a neat finish on external edges and corners can be achieved with the use of tile fixing trim incorporated at the time of tiling. To prevent the seepage of water around baths, basins and plumbing equipment such as shower taps a plastic sealing strip or silicone sealant should be used. If the tile does not have a glazed edge, a neat finish on external edges and corners can be achieved with the use of tile fixing trim incorporated at the time of tiling. To prevent the seepage of water around baths, basins and plumbing equipment such as shower taps a plastic sealing strip or silicone sealant should be used. Do not begin grouting for at least 12 hours after fixing unless using rapid setting and hardening adhesives. There are many types of grout, so ask for advice if necessary correct grout for your application, especially when using highly glazed tiles. Force the grout into the joints using a grouting sponge. Do not use rigid spreaders at these can cause scratching to certain tile glazes. Remove surplus grout from the surface with a sponge. Polish with a dry cloth to ensure continuity in the finish is not compromised. NOTE: Sponge lightly directed in the line of the joints with a very slightly moist sponge. This helps generate a smooth finish giving you that clean and professional finish. Try to keep the sponge clean from residue dirt and dust to ensure the grout colour stays true to it original state. Planning ahead is essential for a successful project. 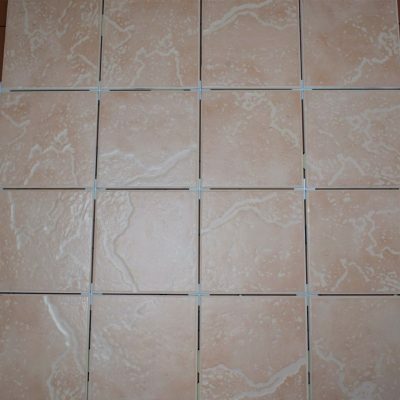 Laying ceramic floor tiles will raise the level of the finished floor, so if possible remove all fixtures before tiling. Check the overall flatness of the floor. A levelling compound can be used to improve flatness levels. Mark a chalk line on the floor down the centre of the room parallel to the most suitable wall (normally this is achieved by viewing the room from the doorway). New concrete must be at least six weeks old and thoroughly dry before fixing floor tiles. The surface must be smooth, flat and free from dirt and grease. Uneven surfaces can be improved with levelling compound. Overlay the existing timber with 15mm dry exterior grade plywood, which has been sealed at the edges and back. Fully screw down the plywood at 300mm intervals ensuring all junctions are supported by noggins or joists. Use a category C2 adhesive. Overlay the existing timber with a proprietary decoupling membrane e.g. schluter matting and use a category C2 adhesive. Overlay the existing timber with a proprietary tile backer board and install following the manufacturers’ instructions. Use a category C2 tile adhesive. Note: A CG2 grout is recommended with all of these methods. There are many factors to consider when deciding which method is best suited for your particular circumstances. It is important to seek professional advice. Existing hard tiles must be free of grease, polish etc. and firmly adhered to the subfloor. The surface of the tile must be primed and allowed to dry before spreading the adhesive (Category C2). Existing tiles must be clean, grease free and firmly adhered to the subfloor. 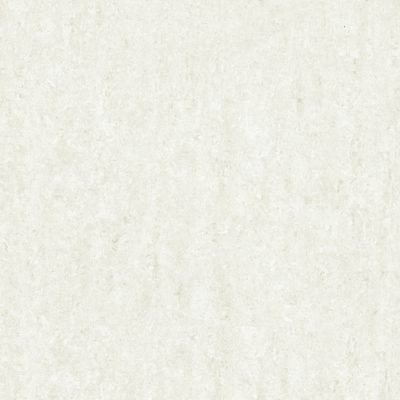 Priming may be required and a Category C2 adhesive should be used. When tiling onto glazed tiles a polymer additive may be required. Consult your TTA adhesive manufacturer. Electrical under tile heating is readily available. It should be installed following the heating suppliers instructions and connected by a Part P competent electrician. Tiles should then be fixed, using the solid bed method using a category C2 tile adhesive. Movement joints will be required around the perimeter of the floor, and where tiling lies alongside columns, curbs and steps. In large floor areas tiles should be divided by movement joints into bays not exceeding square metres in area. Your TTA retailer will be able to help you chose the right movement joint for your project. There are a few industry standard methods when it comes to tiling a wall or floor. Wether you are a home-owner with a DIY project or a professional. Taking the time to prepare, cut, grout and maintain can give your room that extra professional look. Floor tiles are generally harder to cut than wall tiles. Modern tools make the cutting of most types of ceramic tiles simple. See our ‘tools’ section for one of the various cutters available. Do not begin grouting or walk on the floor tiles for at least 24 hours (unless using a rapid set adhesive) to avoid disturbing the tiles before they have bonded completely with the adhesive. There are many types of grout so check for the correct grout for your application. Force the grout into the joints using a squeegee. Remove surplus grout from the surface with a sponge and, if required, peg the joints with a rounded stick to achieve an even better finish. Note:- when grouting tiles on a timber floor, use a water-based polymer admixture to improve flexibility. Movement joints allow for movement and prevent tile damage. The recommended minimum width is 6 mm, but it depends on each individual application. Movement joints are either field-applied sealant, or a prefabricated profile with anchoring legs which are adhered beneath the tile. They are normally installed where flooring abuts wall, steps, columns etc., on large floor areas and over structural movement joints. Floors less than 2 metres between walls will not normally require movement joints except where there is under tile heating; in this case bay sizes of no greater than 25 square metres should be incorporated. With proper care and attention, a correctly installed, good quality ceramic floor tile should give many years trouble-free service. Grit is the biggest enemy of any floor material and a mat adjacent to external doors is strongly recommended. Terracotta and natural stone tile tiles will need sealing. Ask your TTA member for details, as there are numerous cleaning and maintenance products on the market. Use normal or rapid setting adhesives conforming to BS EN 12004 and follow the manufacturers’ instructions. Mix the adhesive as per manufacturers’ instructions and spread with the recommended notched trowel to give a ribbed adhesive bed on the surface to be tiled. Butter the back of each tile with a thin layer of adhesive immediately before bedding it firmly into the fresh ribbed adhesive bed with a slight twisting motion to ensure a solid bed and prevent voids under the tile. Some “solid bedding” trowels and pourable adhesives are available that allow the floor tile to be solidly bedded without the need to butter the back of the tiles. Remove surplus adhesive from the tile surface and joints with a damp sponge or cloth. Work in small areas of about 1 sq. metre at a time so that tiles are fixed whilst the surface of the ribbed bed is still wet and workable. Every so often use a spirit level or straight edge to check that the tiles fixed are flat. Remove and adjust the amount of adhesive to achieve a flat surface, but don’t leave it too late or the adhesive will set. Leave adhesive to set before grouting (usually 24 hours unless using a rapid setting adhesive). In bathrooms, special attention should be paid to sealing the gap between wall and floor base using a flexible antibacterial sealant. A category C2 adhesive should be used when fixing fully vitrified tiles such as porcelain.